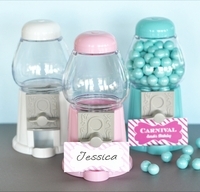 Trendy, colorful, and best of all inexpensive! 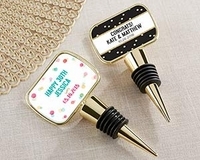 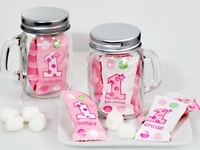 Our First Birthday Party Favors are sure to be a hit! 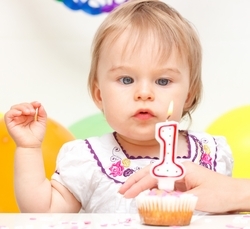 At Candy Under Cover, we make sure your child's 1st Birthday is almost as SWEET as they are. 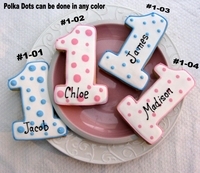 Edible Party Favors are a perfectly delicious way to thank your guest for celebrating your child's 1st Birthday! 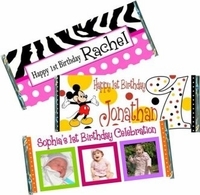 We offer FREE Custom Designs, FREE Personalizing, we will add a photo FREE to any of our First Birthday Candy Bar Wrappers, and 1st Birthday Candy Bar Favors! 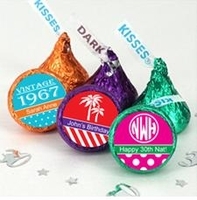 These Candy Bar Wrappers will not disappoint! 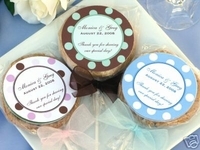 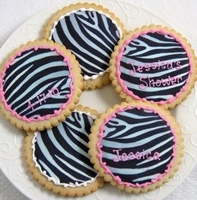 Our Custom Cookie Favors are spectacular! 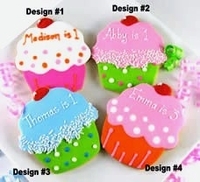 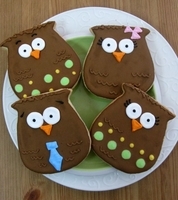 They are hand decorated, and made fresh to order! 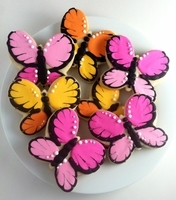 They are very large in size, vibrant in color, and absolutely delicious! 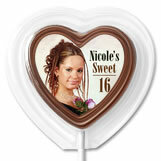 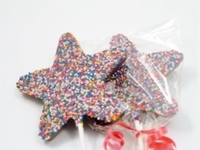 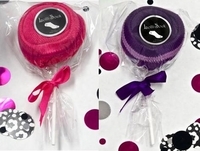 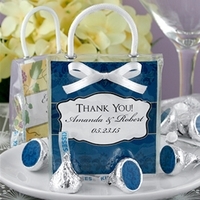 Our Custom Chocolate Lollipops, and Chocolate Favors make a fabulous and yummy First Birthday Party Favor! 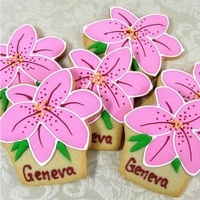 They are made from the finest chocolate and are absolutely DELICIOUS! 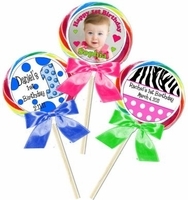 Personalized 1st Birthday Whirly Pops and Swirl Lollipops are BIG, colorful and oh so scrumptious! 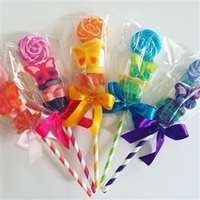 Our Pops will put a smile on any child's face! 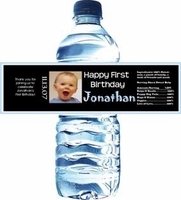 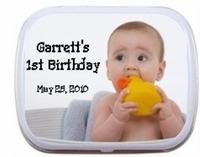 Designed especially for you child with names, dates and awesome designs! 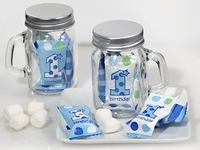 Your child's 1st Birthday is such a special day, and our 1st Birthday Party Favors will make you child's day even more special. 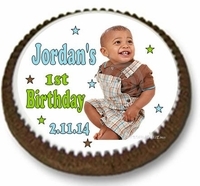 With our exceptional customer service, and fast turnaround time, ordering is quick and easy! 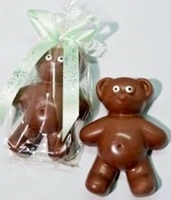 Don't see what you looking for? 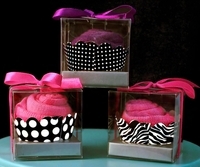 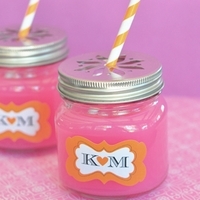 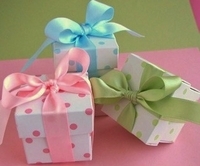 Just call or email us your First Birthday Party Favor ideas, and we will do our best to accommodate you!